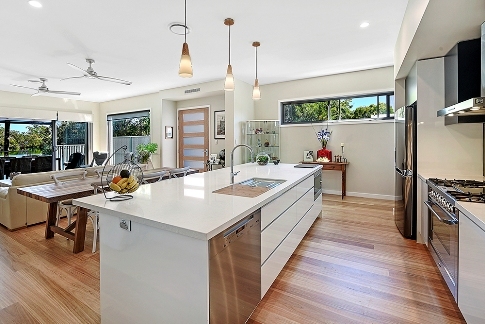 What's Trending In The Gold Coast Building Industry? Despite a few tough times and hard roads ahead faced by the contractors and building construction industry in the Gold Coast, it seems that the industry is not only surviving - it is also thriving. With the boom in the region’s construction services sector, it’s obvious that the region has defied the slump in the building industry. And it doesn’t end there. The growth in the Gold Coast economy continues to surge with no signs of slowing down. This only shows the bright future that awaits for the building industry and it’s high time for property investors to take advantage of this opportunity. Investors in major infrastructure projects play an important role in supporting the economy of the region and the region’s building industry. According to the data from Domain Group the median house price in the Gold Coast increased to almost 8 percent in the recent year. The Gold Coast area has recently gotten popularity among couples and families paving the way for more constructions of residential areas in the suburb. The region’s tourist industry has boomed to a record-high in the recent years. This has translated into more building projects for tourism infrastructure, various tourists’ attractions and more investments. In addition, the population in the region is also accelerating and generally, this is good news for the construction industry. With strong growth in the employment sector more building projects will be needed to cater the workforce. The growing investments in the infrastructure sector, the growth in the housing sector, as well as the boom in population, tourism and employment sectors are the key factors that would define the trend in the Gold Coast Industry this year. With this boom, a host of opportunities are absolutely knocking at the doors of property investors and the construction industry. The industrial and office sectors in the region are anticipated to continue accelerating as there will be a need to address the increasing demands of rising workforce, warehouse accommodation and other quality office facilities. With the growth in population along with the interstate migration, the demand for residential properties such as house and land, apartments and other dwelling facilities shall continue to expand in the country. The upswing in population is also seen as a key driving factor for the progressive trends in the retail properties sector. The need for convenience centers, grocery stores and warehouse retailers will be inevitable to cater the needs of the rising public.